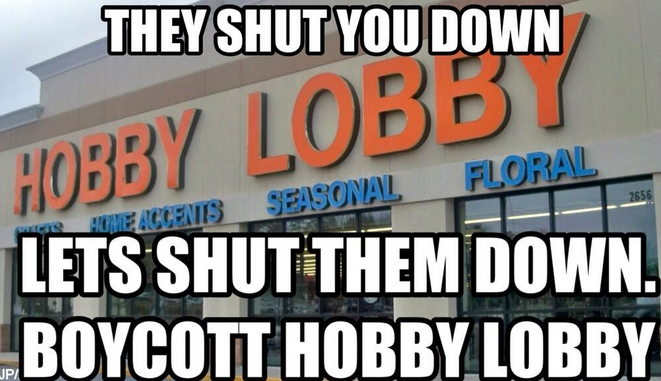 Hi, Hobby Lobby. It’s me, Jenn. I heard you won a pretty big court case today, one that established your constitutional right as a corporate conglomerate-person to infringe on my rights as an actual person-person. I heard you congratulating yourselves in what you dubbed a major blow in defense of the free practice of your religion (centered around cheaper healthcare costs?) and free expression of your political beliefs (centered around being a jerk? ), both of which apparently involve limiting the reproductive rights of the women who work for (within?) you. Well, I have the freedom of expression, too. And, I think this decision is stupid. Wednesday, January 22, 2014, marked the 41st anniversary of the landmark Roe v. Wade Supreme Court decision, which established a woman’s right to make her own reproductive choices — including abortion — under the Fourteenth Amendment. Yet, over forty years later, abortion and other reproductive health policies that protect women’s rights continue to be under attack by the Republican Right. Yesterday’s anniversary of Roe was marked by anti-abortion rallies throughout the country, including thousands of pro-life activists who descended onto Washington D.C.’s National Mall. Meanwhile, the Republican Party is debating new guidelines under its national re-branding efforts that would encourage or even require pro-life party members to be more vocal in their anti-abortion stances. These developments predict escalating rhetoric over women’s reproductive health in the coming years; and this growing polarization is only likely to further hinder women’s access to reproductive freedom. In some studies, Asian Americans women suffer among the highest rates of sexually transmitted diseases; in one, 13.5% of Asian American women in 2001 reported a sexually transmitted infection (STI) compared to 8.3% of White women, and were four times more likely than Asian American men to report an STI. 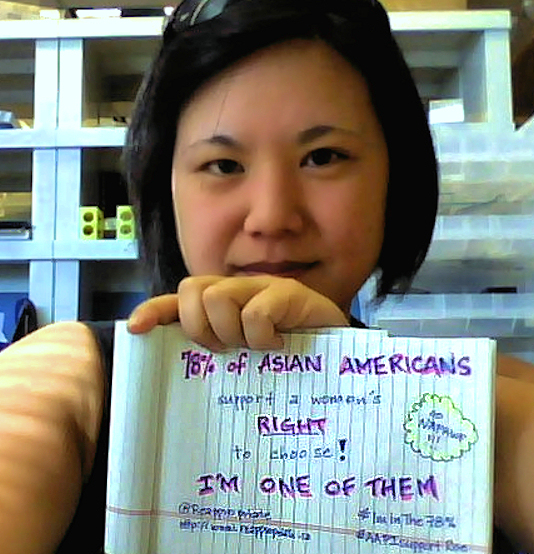 Furthermore, in 2000, 35% of Asian American pregnancies ended in abortion, compared to only 18% of pregnancies among White women. These rates occur despite some studies showing relatively high condom use among Asian American youth; some scientists have argued that despite these findings, cultural stigmas against conversations on sexual topics hinder a comprehensive sexual education among young Asian Americans, leading to gaps in reproductive and sexual health knowledge that can result in high rates of STDs (some that often go unreported) and unplanned pregnancies. Taken together, these data clearly indicate that reproductive health is a critical, if woefully under-discussed, concern for Asian American women. Furthermore, any effort to target public policies that promote reproductive health access will impact women in our community.